We are looking for caring, enthusiastic and reliable people to make a difference in the lives of individuals we support. 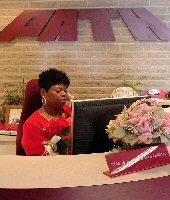 At PATH, Inc., we support our employees with a considerate work environment, training and a generous benefits package. This environment has created dedicated employees who find satisfaction in their work helping others. More than 500 people are working together to achieve our mission. Over 33% of our employees have chosen to stay more than 10 years or longer. To learn more about our agency, please take a moment to explore our web site. To join our team, click on “Available Positions."